Thursday this week I spent 16+ hours in a tiny village hall as poll clerk in our local elections. Usually it’s quite arduous, but this time it was great fun. You can read all about it here. We had a variety of animals on leads who came to vote with their owners. Can you guess what this one was? Yes, you’re right it’s a ferret! But he was only yawning. Was really friendly and, apparently, had never bitten anybody! Thanks for the comment. It’s a ferret isn’t it? Or were they the people that got conned into thinking they were buying a poodle instead. Yes, you’re right Dawn, it’s a ferret and it came in to the polling station on a lead with a harness and was a really jolly little chap. I even stroked it. Thanks for the visit! Ooooh I think I would have screamed! I am not good with little animals, I can’t even hold a hamster!!! I’m guessing a ferret?! 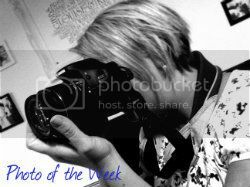 Hi Louise, thanks to you for hosting Photo of the Week, I am sad that not more peeps link up. Cant think why they don’t, Silent Sunday and TheBoyandMe’s 365 get zillions. Will have to tweet about it. Sadly no longer with Orchard Toys so can’t tweet to nearly 4,000, but perhaps if I send a tweet to Orchard Toys, all those people will see it…. 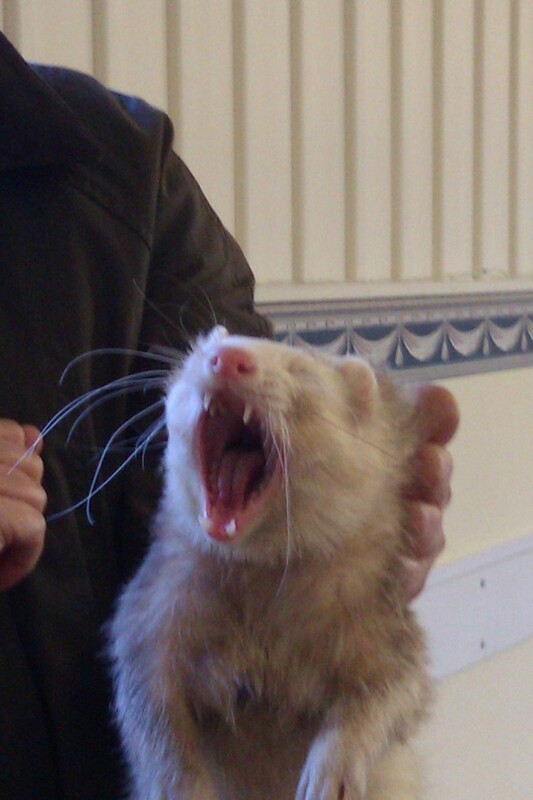 Oh very sharp looking teeth there, I’ve heard that people keep ferrets as pets but I’ve never seen one. Looks like a lovely little fella, great picture. He really was a sweetie. He came into the polling station on a harness and lead, moving around so quickly. She said he was very friendly and had never bitten anybody. I plucked up courage to stroke him. He was a cutie. Thanks for the visit.